In some instances, companies use smaller cans and drums and need the proper equipment to store these containers safely and efficiently. 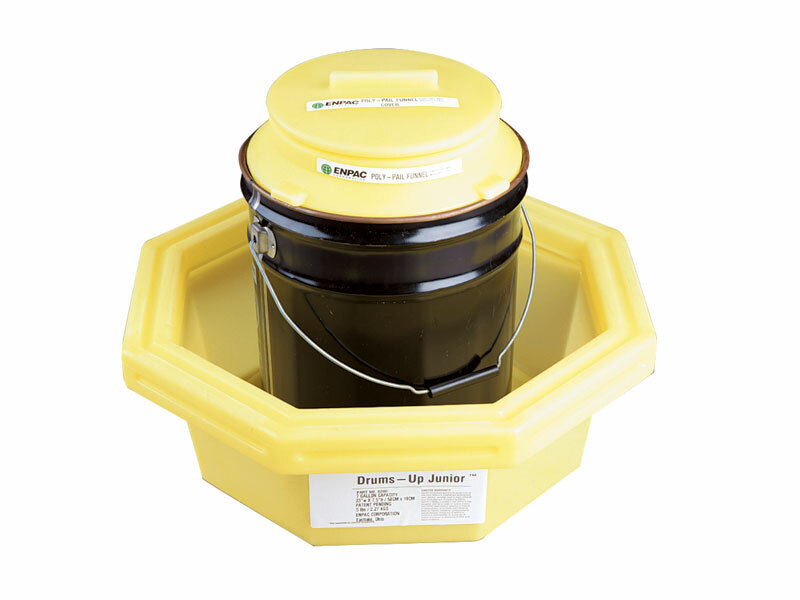 Since standard larger containment vessels lack the functionality to complement the design of smaller containers, the Workplace Depot is excited to offer the Junior Spillage Retainer. A more compact alternative to our regular spillage retainer, it provides a convenient and low cost containment solution for minor leaks and spills. What is The Purpose of the Junior Spillage Retainer? While most companies focus on having the tools needed to handle large objects, sometimes having equipment to accommodate unique smaller dimensions can prove to be just as indispensable. 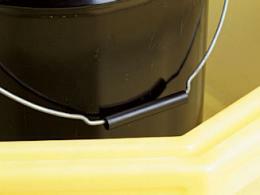 Due to the fragile nature of cans and drums, storing them improperly can create safety hazards. The reusable junior spillage retainer is a snug way to store these units and is a great choice for helping to manage minor leakages and reduce the risk of accidents. A variety of commercial locations work with smaller containers and having a containment option specifically designed to accommodate these vessels can greatly improve any work site. This unit is great for securely storing smaller cans and fuel drums in a safe and reliable way and can help save space and money at any worksite where these units are common. This product can prove useful to any construction or loading manager who is concerned with safety, as it provides a sturdy and secure way to contain potentially hazardous leaks. Due to its compact nature, the unit is easily transported in smaller trucks and can be easily stored away when not in use. 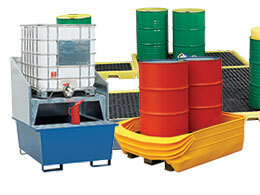 The product can prove to be a reliable unit to have on hand at any factory or worksite. 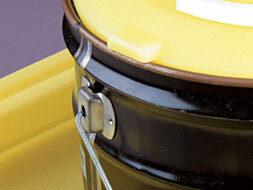 The junior spillage retainer is available in yellow and accommodates any can or drum up to a capacity of 25 litres. With a sump capacity of 28 litres and with height and diameter measurements of 190mm and 540mm respectively, the product can be delivered within 5 working days and we promise to match any price. We also provide a one-year guarantee, so order your junior spillage retainer today and improve your operation!